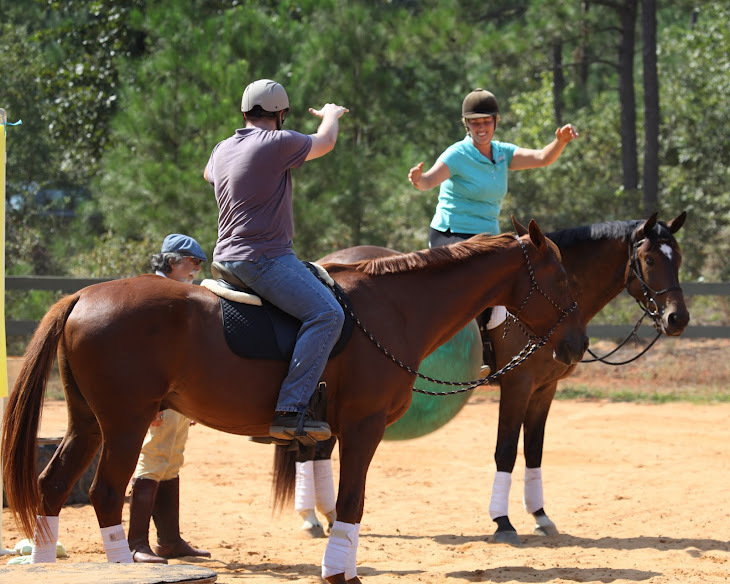 This was a fun memory from an Aiken Horsemanship Academy demo in 2012 or 13. I am riding the young (3 years old) but mammoth (17+ hands) warmblood Phinn, who I had recently started under saddle. JJ is riding Borrego, and Richard Leitner is acting as our referee as we toss a big ball back and forth to demonstrate how reliable and “non-spooky” a horse can be once he is trusting.